Buyers have become desensitized to corporate speak that sounds like everyone else’s. Because of the Internet, buyers are better educated, more selective in their acquisition choices, and have the greatest selection of purchase options than ever before. Sure, your firm is dedicated to the finest customer service. Yes, your management team is committed to superior customer satisfaction. OK, I hear how your research team has spent a disproportionate share of its valuable funding on fine-tuning your offering’s features or benefits. Big deal — I’m not impressed and neither are the prospects you are trying to market to. Any company that is growth directed is saying how great they are. The fact is, most marketing is worthless because companies sound and act like their competitors and leave their value buried deep inside the position of non-belief. Telling new prospects and existing customers how great you are or how unique your offering is, is just lazy marketing and wasted investment. To turn business prospects into active buyers you must stop wasting budget dollars on beautiful, high-gloss, four-color brochures that no one reads; multimedia presentations that are visually attractive but do not say how your offering helps a business succeed; or press releases promulgating your next new strategic partnership that marked you as one of many versus one of one, etc. 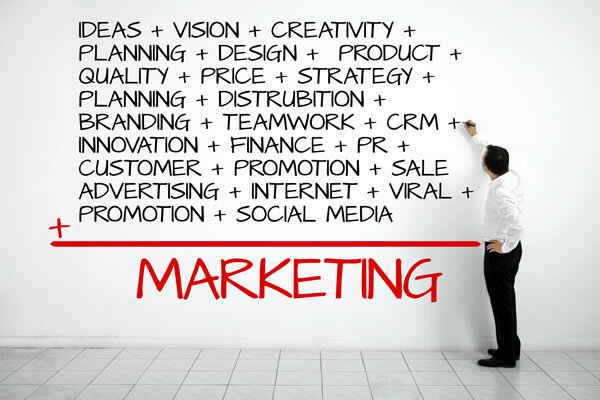 These marketing devices are one-dimensional communication devices that do not stimulate or enlighten a buyer’s brain. One-dimensional sensory marketing puts prospects into sleep mode. When your marketing is one-dimensional, it is too passive for the average prospect today and this creates lazy buyers. Because consumers’ brains are overloaded, it is critical to adopt a marketing model that deploys multi-sensory value communication that uses several sensory bells and whistles to help stimulate action steps. The correct way to create a multi-dimensional sensory value position with targeted buyers is to get them to become involved in the discovery of your value. Value must be multi-sensory and multi-dimensional. When prospects feel they are buying and not being sold, they buy faster and more often. To sell more and to create inbound leads for your sales team, your marketing programs need to educate targeted buyers on how your product or service can help them. To sell more, marketing must give deep educational content away to targeted prospects to turn them into customers. In Value Forward Marketing, you should give 5% away to get prospects to pay 95% at retail. If you have an offering where demand is greater than supply, then your goal should be to turn prospects into buyers. Instead of communicating your value up front through repetitious communication of how great you are, give 5% of your value away to generate 95% more sales at a higher gross margin price. Just like the cookie store that gives free samples, financial services companies, retail stores, software companies, manufacturing firms and nonprofit credit unions all have the opportunity to position their value up front. This 5% rule can be free information on how to fix problems in your buyer’s business world, free consulting on a retirement plan, or low-cost software modules that you roll up into a larger sale later. This try-a-little-before-you-buy value presentation allows prospects to confirm for themselves that your value is what you say it is. Now, earlier I recommended not giving a try-before-you-buy offer of your entire product or service offering. The difference here is that I am recommending you offer a small portion of your expertise or your offering as the trial offer, not the whole enchilada. Because prospects are suspect of corporate marketing messages and branding platitudes, retention of your value is low; but by giving away some of the value for free, you allow prospects to sample your offering on their own terms and paint visual brochures in their minds as to why they should buy from you.